GenreOnline.net: Overlord Is Coming To 4K Blu-Ray, Blu-ray, DVD and Digital! Overlord Is Coming To 4K Blu-Ray, Blu-ray, DVD and Digital! 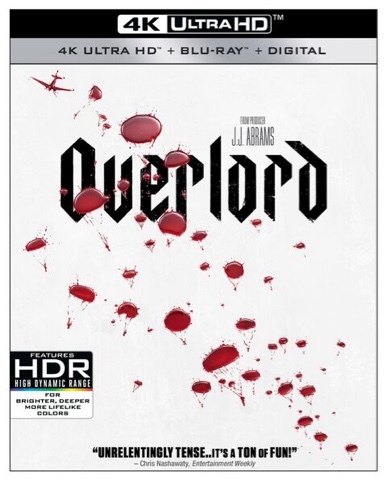 HOLLYWOOD, Calif. – Produced by J.J. Abrams and directed by Julius Avery (Son of a Gun), the “wild and fantastically fun thrill fest” (Molly Freeman, Screenrant) OVERLORDlands on Digital February 5, 2019 and on 4K Ultra HD, Blu-ray, and DVD February 19 from Paramount Home Media Distribution.